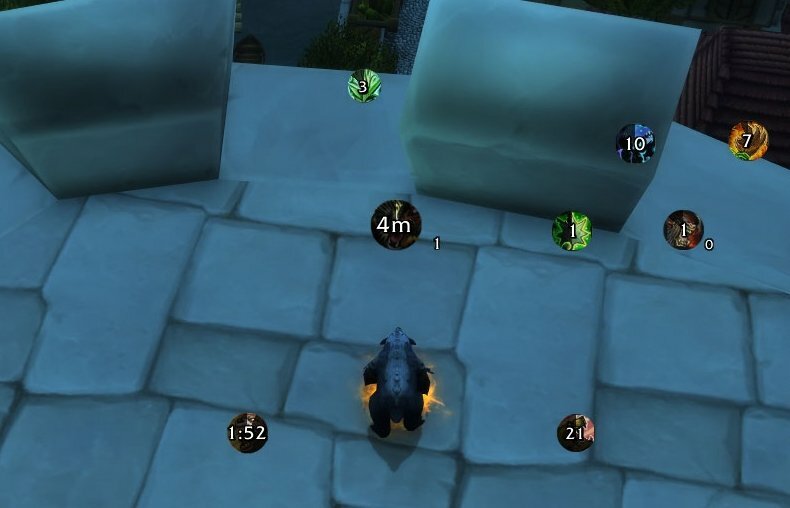 Simple Drag 'n' Drop cooldown and buff tracking for lazy Bears, Brahs, and Babes! Available now on WoW Interface and Curse, exclusively for BfA Beta! 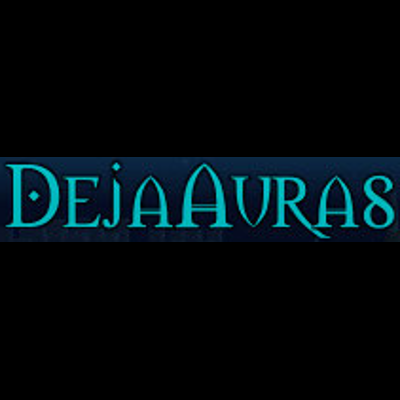 Type "/da u" or "/da unlock"
Once unlocked you should see the DejaAuras text in the top third of your screen and or your currently tracked auras. To track new abilities, spells or items open your spellbook or bags and drag and drop them onto the screen and right click to place them. Once placed, drag as needed to position. Currently only abilities, spells or items that have the same name as the buff they give will display once locked. 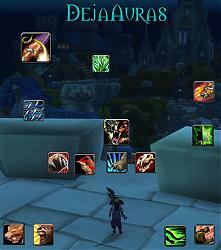 The default icon size is the same as the Blizzard UI default of 36. The minimum icon size is 20. 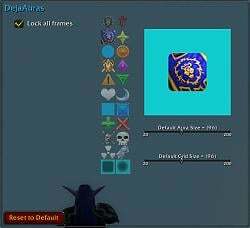 Mousewheel scroll up or down to increase/decrease icon size by 1 pixel. Hold shift, ctrl, alt and mousewheel scroll up or down to increase/decrease icon size in increments of 5, 10, and 25 pixels, respectively. Hold ctrl and alt at the same time and left or right click to remove an icon and its tracking. 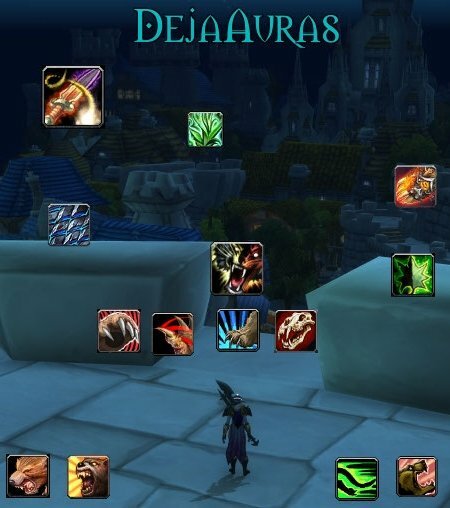 Type "/da l" or "/da lock" or reload your UI to lock the icons into place and start enjoying your DejaAuras! /da (u)nlock: Unlocks all DejaAuras frames. /da (l)ock: Locks all DejaAuras frames. 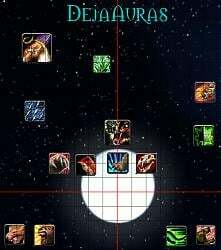 /da (a)lign: Displays the DejaAuras alignment grid. /da (c)onfig: Opens DejaAuras Interface Options menu. 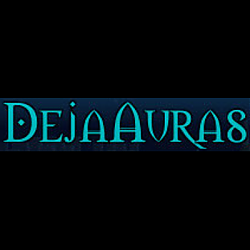 /da reset: Removes (deletes) all DejaAuras. 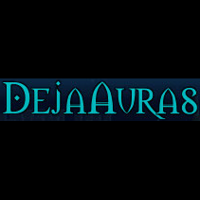 Example: Typing "/da u" or "/da unlock" will lock DejaAuras. Type "/da c" or "/da config"
Select the default aura silhouette from the 22 thumbnail images on the left. 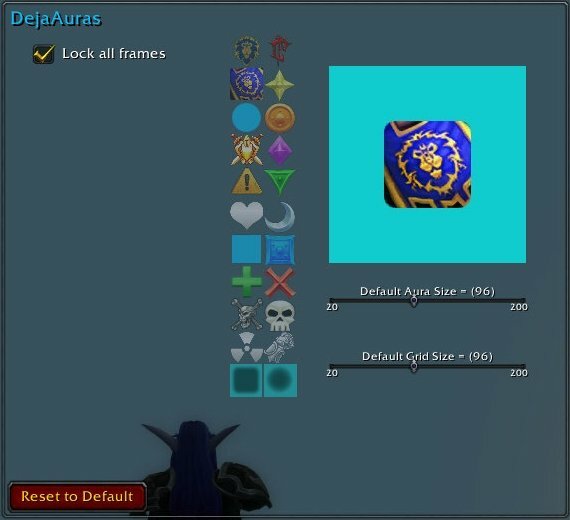 Move the Aura Size slider to select the default aura size when dragging and dropping spells and items from the spellbook, paperdoll, or bags with a live preview in the upper right quarter of the panel. Adjust the size of the default alignment size with a live preview by moving the Grid Size slider. Type "/da a" or "/da align"
Type "/da l" or "/da lock"
Fixed a drag 'n' drop issue caused by no defined icon texture. Fixed a localization string issue, missing quotes around frame strata, BACKGROUND instead of "BACKGROUND".